NOTE: Cokin fluorescent filters have a more luminous color effect than standard Cokin color graduated filters. Cokin color graduated filters are color-toned in one half of the filter and have a smoothly graduated transition into the clear portion. 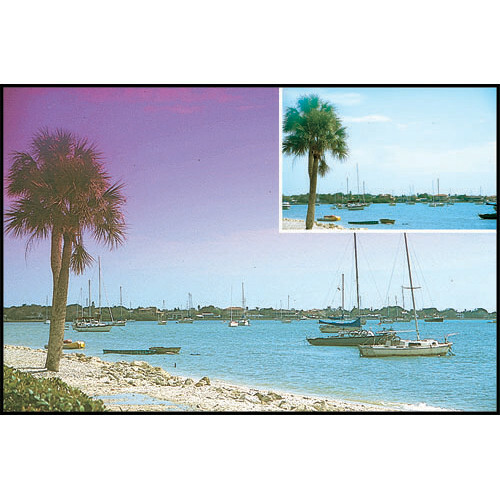 Colored and clear image portions can be brought into the desired position by adjusting the filter in the holder. Most Cokin graduated filters are available in two densities 1 & 2, with #2 being darker. Cokin color graduated filters can also be combined with other Cokin filters. Two color graduated filters rotated 180 degrees to each other allow a composition of colors to fade into each other. Box Dimensions (LxWxH) 4.409 x 3.701 x 0.472"
P668 Graduated Fluorescent Mauve 1 Resin Filter is rated 4.0 out of 5 by 1. Rated 4 out of 5 by mfhgiguere from Loved it To highlight the mauve in the sunset.